Every child needs a snuggle buddy. 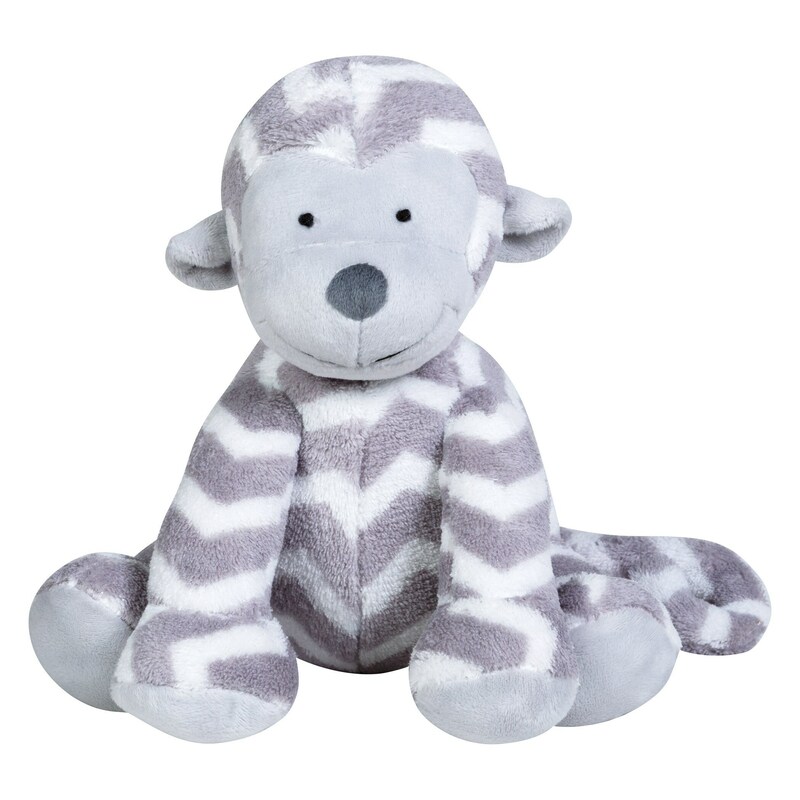 Your little one will love cuddling up with this Monkey Plush Toy. 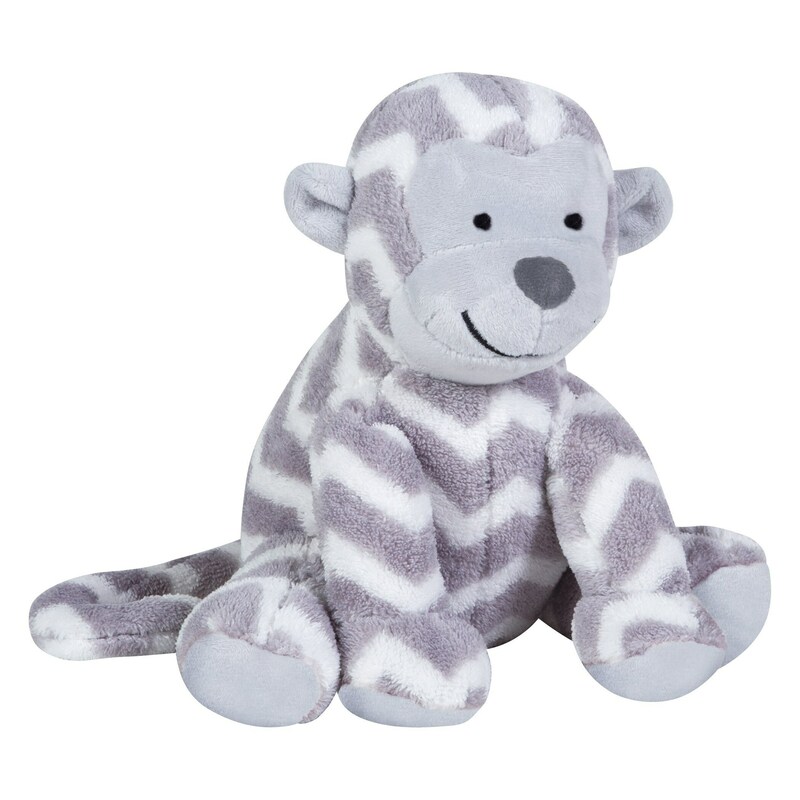 Our monkey is made with super soft plush fabric in a modern gray and white chevron print. 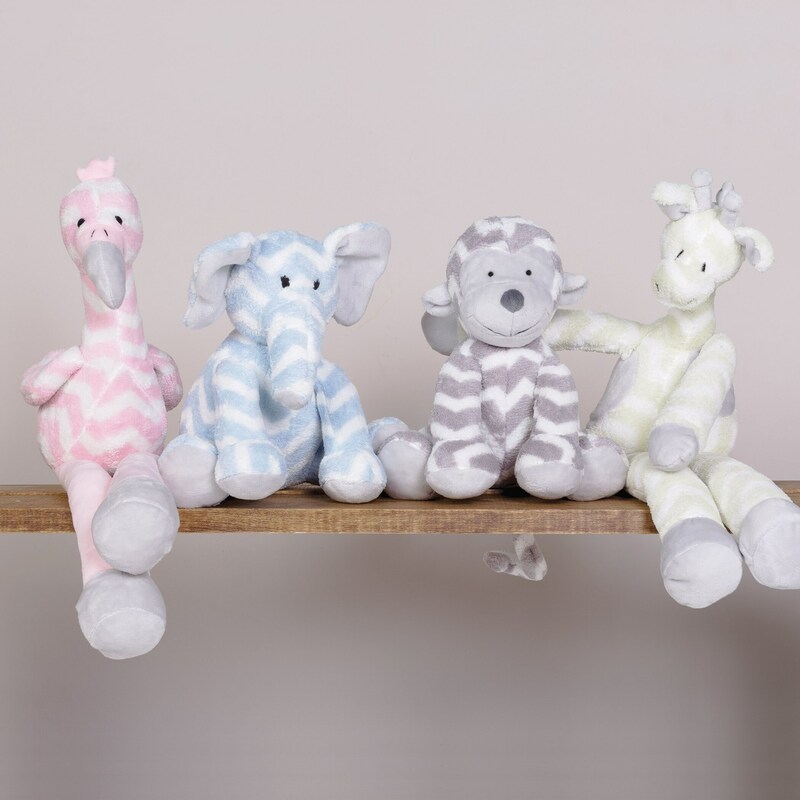 Your youngster will happily stroll along with their sweet little cuddle friends using their easy to grasp legs and arms that are perfect for a little one to hold onto. Monkey measures 9 inches.